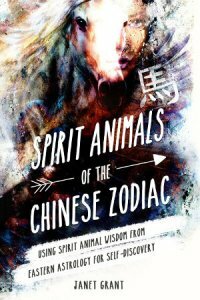 By using the principles of the Chinese Zodiac along with the Native American paradigm of spirit animals, you can discover more about yourself and the people you interact with. Everyone is born under the sign of one of the 12 animals of the Chinese lunar cycle. By using the insights gleaned from Eastern astrology and applying the spiritual methods borrowed from Native American totems, I provide a truly unique method to help you navigate through life’s journey. Being part Japanese, I’ve been familiar with the Chinese Zodiac since I was a little and have always been fascinated by how accurate personality traits are portrayed by the 12 animals that rule each year. I’ve also studied Native American spirituality for quite a while and have been equally fascinated by the concept of animal totems and spirit guides. I even collect and use Zuni animal fetishes for meditation. So, when deciding what to write about, these areas of interest, coupled with my love of animals, just naturally came together. I begin by just thinking about ideas in my head for a few days or weeks. When I’m ready, I take a notepad and start jotting down ideas quickly; whatever I think about, without any edits. I make a kind of map with circles around words and arrows to other concepts coming from those words. I work at this until I feel I’m done. It’s a type of interactive mind dump. Without edits, ideas come up that I don’t always expect and can change the direction of my story. From the mind dump I do a loose outline. Simultaneously, I begin research. My first draft of writing is done quickly and without any edits. After the first draft is completed is when I begin to tighten, cut, and edit. On this book, I also meditated a few minutes on each animal before I started that animal’s chapter. That ritual helped focus me on that day’s work. Well, I’ve always wanted to be a writer. It took a few years to get to the point of being able to make a living at it. I am, by trade, a technical writer in the computer industry, with upwards of 300+ computer-related documentation to my credit. Granted, they’ll never be read by anyone other than people who need to know how to replace server parts, or run a BIOs or install an OS in a computer, but at least I’m a working writer. But as far as writing my own book, it took my first layoff from a job to accomplish that. I was laid off for about nine months and rather than going into total despair, I decided to take a chance to fulfill a dream. I enrolled myself into a self-publishing program and with the support of like-minded individuals, managed to write and publish something that I had knowledge of and passion for. I go to my day job and put in a full day’s work as a technical writer. This usually consists of working on a current project, which can mean a datasheet, user manual, or process guide. I do research on the computer, talk with engineers, go play with the product in the lab, take pictures and photoshop them to be used in my documentation. I’m the go-to person for all engineering documentation so I usually have a pretty busy day. After a full day at my job, I try to work on my own projects. That usually consists of reading and research. I play with my dogs and my parrot. I’m always learning about animal behavior firsthand through my pets. My daughter is also at the premier school for exotic animal training. So almost daily, I’m regaled with stories of her training and interactions with animals that have included a lion, macaw, beaver, raccoon, kookaburra, capuchin monkey, spider monkey, serval, wolves, gorillas, and orangutans, among many others. I love living vicariously through her experiences, as they give me limitless fodder for future books. The constant learning. There is nothing more I love than to discover something new, either through experience, researching, or talking with people. Whether learning about animals, the writing process, or spiritual practice, the learning process keeps life interesting and gives you a non-ending source of inspiration and ideas. For learning about writing, I’ve been inspired by my favorites: Ray Bradbury, Eleanor Cameron, Madeleine L’Engle, C.S. Lewis, and Amy Tan, and for classic animal stories: A.A. Milne, Beatrix Potter, James Herriott, and E.B. White. For inspiration about the natural world and animals: Loren Eiseley, Gerald Durrell, and Dr. John Lilly’s landmark studies on dolphin communication. For mythology and symbolism: Joseph Campbell. And shamanism: Ted Andrews. I’ve also been inspired by motivational speakers: Dr. Wayne Dyer, Louise Hay, Jack Canfield, and Dr. Christiane Northrup. 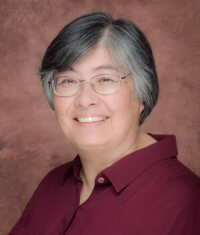 And, Chandler Bolt: (Self-Publishing School) for providing me the motivation and tools to help publish my first book. I’ve studied handwriting analysis and the sacred alphabet and acquired a handwriting therapy certification from a program offered by handwriting expert and motivational speaker, Vimala Rogers (author of Change your Handwriting, Change your Life). Handwriting reflects our thoughts and feelings and handwriting patterns change throughout life based on personal events. Through handwriting therapy, making specific modifications to individual letters can lead to desired transformations in our lives. I want to put more effort into my web page and blog and start a newsletter about working with zodiac/spirit animals – establish it more like as a business. I also want to write another book on the subject but more inspirational in nature. Only – to go after your dreams. If you visualize it, totally believe it can be done, and constantly surround yourself with the goal, you will attract the means to accomplish it and the mentors to inspire and support you. I speak from experience!